Freelancers are required to pay taxes. Yep! You read that right. Freelancers are not tax-exempt, even though some have decided that paying their taxes was optional. I know we all feel differently about “giving a portion of our hard-earned money to the government” and I totally respect that. So, I just want to say that I’m not trying to change anyone’s tax beliefs or decisions here. 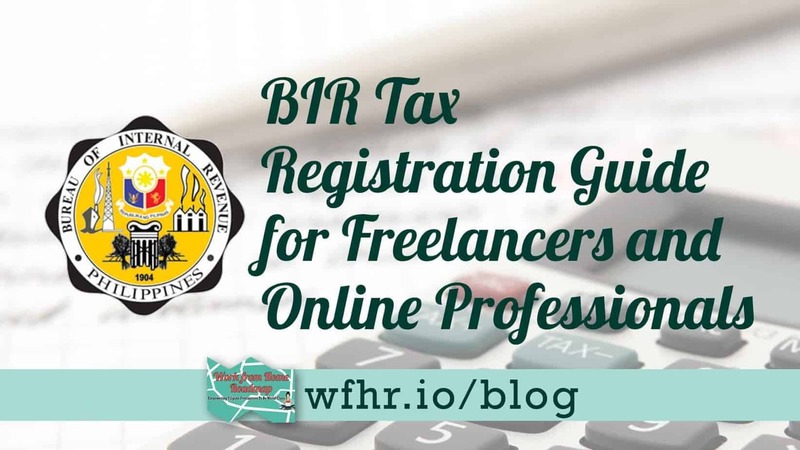 This article is meant to help freelancers who would like to become taxpayers, but are confused what to do – hoping that what I share here would, at least, make their registration experience a little easier. I wanted some peace of mind. I liked the sound of being a “registered professional”. I enjoyed the idea of issuing Official Receipts to my clients. I love to travel and an ITR is a powerful document when applying for VISAs. It puts me in a better position to rant about government lapses because I’m ‘paying’ them taxes. ? I heard many things about the tax registration process so I braced myself for the worse. But surprisingly, it was painless and a lot easier than I thought. I have already read that there would be another set of requirements for DTI Registration and Mayor's Permit. “I don’t want to go through all these,” I thought as I looked at each requirement. I wasn’t willing to go to DTI, register my name as a business, and all those stuff. So, I began to explain what I do to the BIR Representative. “Oh, in that case, you should register as a professional – just like actresses, authors, photographers, etc. 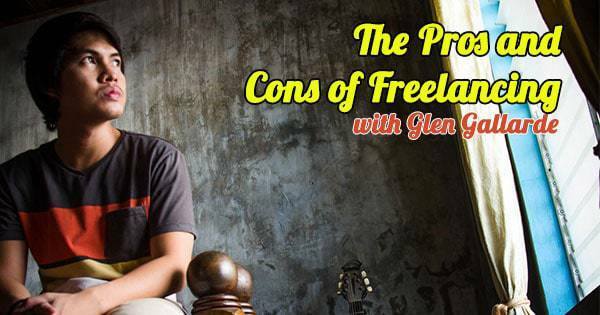 They work freely but they only earn money when they have gigs,” she replied. I only had to submit the checked ones because I already had an existing TIN number. If you don't have a TIN yet, you'll have to submit #6 and #7 (if applicable). Now, at that time, I had no idea what the #1 item was. The BIR Representative just told me to go and get one from the City Hall. Before doing so, I googled what an OTR is and found that professionals are charged an annual tax for practicing their professions. Professionals who require licenses to practice like doctors, nurses, lawyers, and dentists pay a professional tax to the city/province their practicing in. For professionals who don’t require licenses to practice, like actors/actresses, authors, photographers, and yes, online freelancers, we have to pay an annual occupational tax. I went to the City Hall to inquire about getting an Occupational Tax Receipt (OTR). If the guards look like they’ve never heard it before, go and ask them where nurses get their Professional Tax Receipts (PTR). More nurses pay their professional taxes annually so the guards are more familiar with PTRs. When it was my turn, I approached the counter. I filled out a small form with my name, occupation, and address. 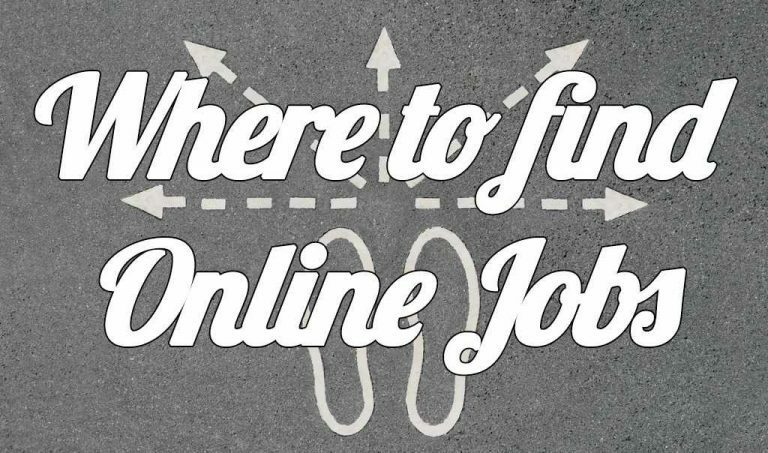 I just wrote “online writer” in the occupation field. 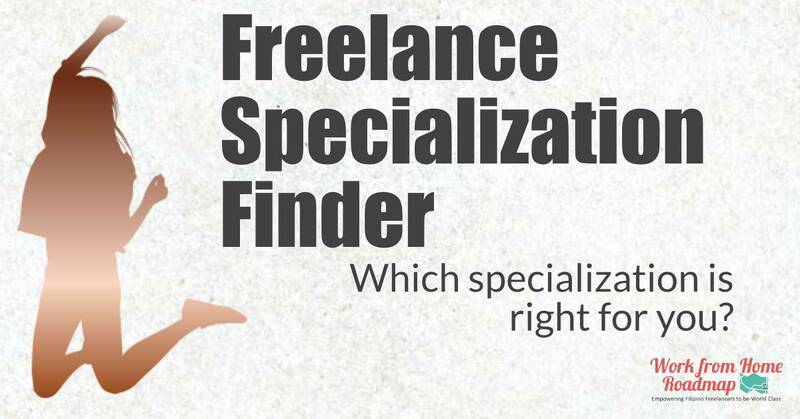 It was fascinating how the idea of freelancing translates to different people. We ended up chatting about the online world and the opportunities it has opened up for everyone. I paid a total of P175 for the OTR. This is how it looks. I also just stopped by the Cedula counter to get one as a requirement for my Barangay Clearance. The rest of the requirements were easy. I got a Journal Book from the National Bookstore for P28.75. The BIR form 0605 (the payment form) is an e-form which can be filled and downloaded online. This is how I filled mine (with the help of a BIR Rep). I encircled the fields that you have to fill out. I blurred out my personal data but feel free to check what I wrote in some fields. You will need to make 3 copies of the completed form and go to an accredited bank to pay the fee. The closest one to my place was Chinabank, so I went there. The bank will keep the 1st copy, send the 2nd one to BIR, and give the 3rd one to you. Your copy will look like this after paying. I was also asked to fill out 2 copies of the BIR 1901 form. This is how I filled them. I encircled the important fields you must fill out. The ones in red ink was written by the BIR Officer after I submitted my form. Don't forget to fill out and sign the back portion of your 1901. I went back to BIR and submitted my requirements as soon as I got everything ready. To save yourself from hassle, remember to bring photocopies of all your documents. They only asked for the photocopies and gave me back the originals. It was a Tuesday when I went. I was told to attend a basic taxpayer’s seminar the next day and to claim my Certificate of Registration (COR) on Friday. I went back the next day for the seminar which lasted for about an hour. They entertained our questions about tax filing there. They gave us a guide which I used to scribble some notes on. When I came back on Friday, I got my COR, this “Ask for Receipt” placard, and my Certificate of Attendance for the seminar. That’s it! I’m a registered taxpayer! I now have a responsibility to file monthly, quarterly, and annual tax forms before the deadline to avoid penalties. As a registered professional, my 1901 says that I should file 2551M forms (Monthly Percentage Taxes), 1701Q forms (Quarterly Income Tax Return) and a 1701 (Annual Income Tax Return). The underlined ones are the deadlines of the required tax forms. 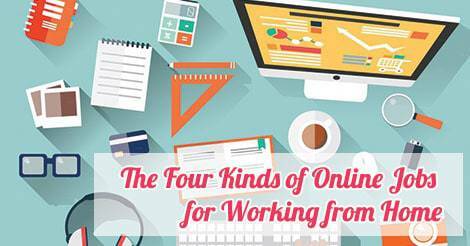 As freelancers, most of our clients are online and wouldn’t really care getting official receipts. But I loved having my own name printed on my own official receipts. It just looks sooo professional. Plus, issuing receipts is a requirement to support one's declared monthly income so I’m planning on still issuing them even though my clients are online. I went to an accredited printshop to order receipts. They needed a photocopy of my COR and my valid ID to process my order. I got their package for 5 booklets and paid P1900. If you have any questions, feel free to type them in the comments below. I don’t have a lot of experience about filing taxes but I’ll do my best to help. Holly started freelance writing in 2010. 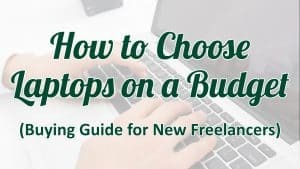 As someone who has not graduated from college, she is living proof that you don't need a degree, education, or experience to be a good freelancer. Nowadays, Holly provides support for aspiring freelancers and works on her own writing endeavors. I wish to know if you have tried getting visa for travel already using your business documents? Most of the visa requirement for self employed is either SEC or DTI registration. In our case, where we dont have those documents, what will docs will you submit? I hope you have inputs with this concern. Thank you. Hi Fel, yes, twice already. I have submitted a copy of my COR and Income Tax Returns to get visas for Japan and Schengen region. I had tried several times to apply for a TIN # and still wala pa rin. Inexplain ko na mabuti pero ang kulit hinihingi pa din yung certificate na nagwowork talaga ko online. lol. Nakaka HB! Im also a BIR registered professional but I dont have that “Ask for Receipt” signage though I was told that its only for Sole Proprietor and businesses.